Day 7 of fashion week ! 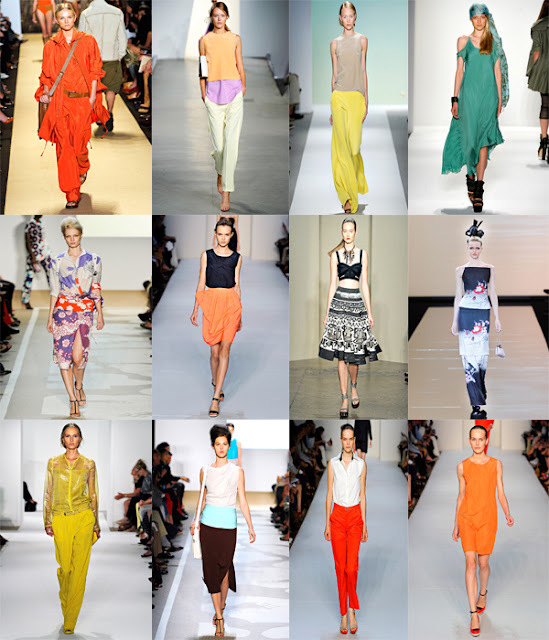 Fashion muses for spring 2012 have taken on a global inspired mood. There are neon brights, Donna Karen's tribal collection, Band of Outsiders country girl, easy elegance , uneven hemlines, Armani's Asian theme. Michael Kors safari brand and Annie Sui's 40's inspiration.. 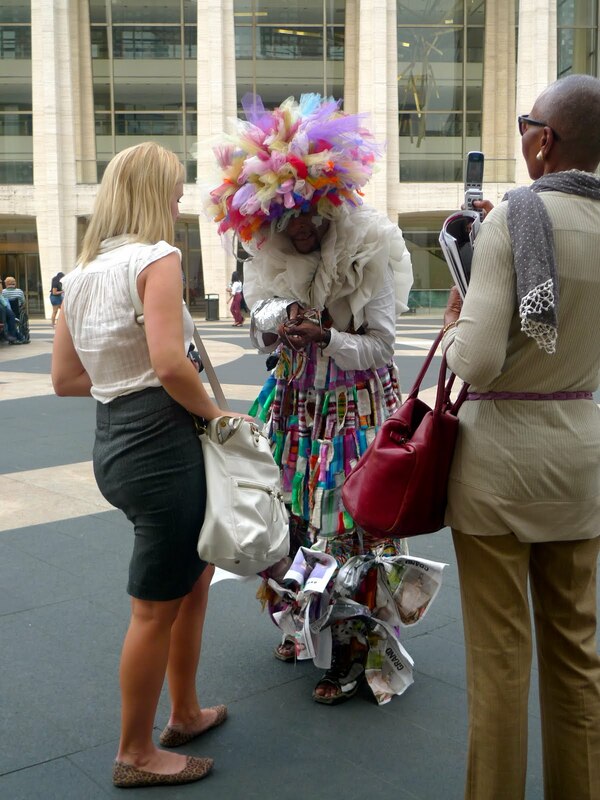 Confused, don't be there is something out there for everyone and this spring is about wearing what you love most! 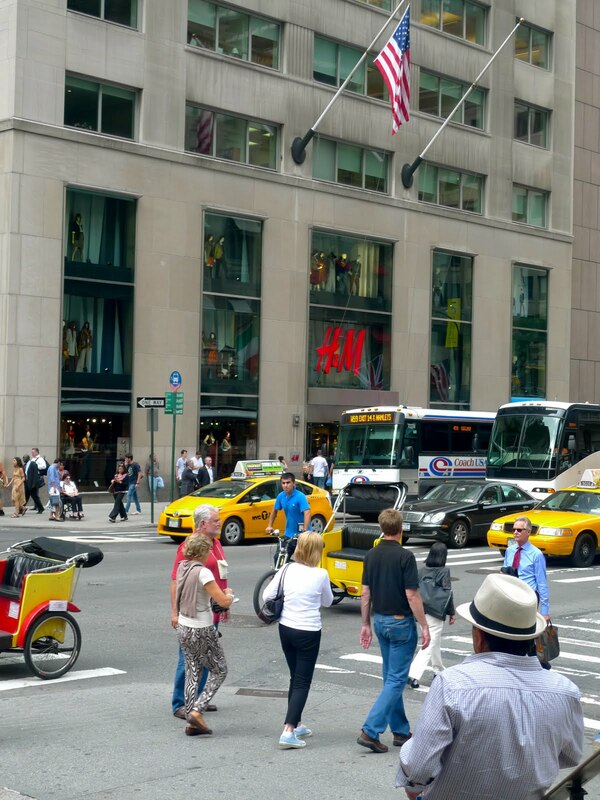 After walking more than 20 blocks, 40th street to 62nd my feet were killing me. 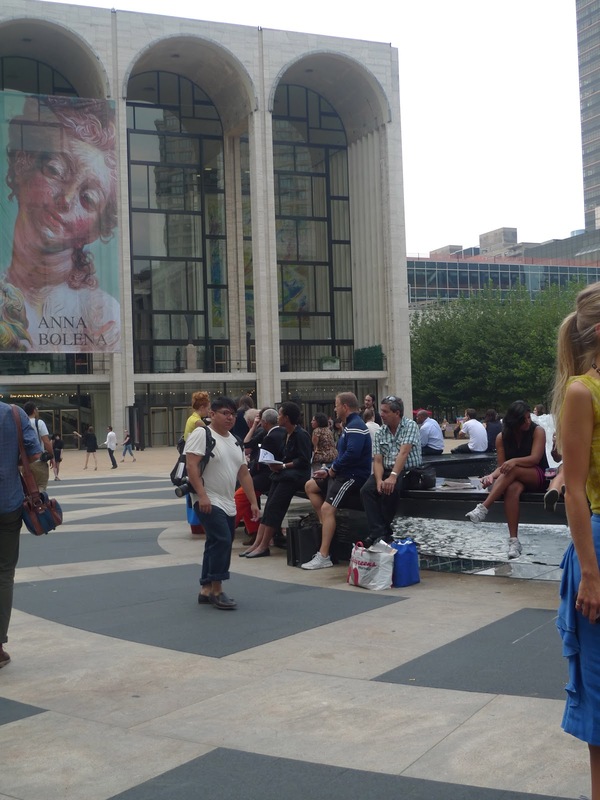 I headed down to Lincoln Center to check out the scene . Anna Sui showed her line with overwhelming response at 6:00 last night. Outside the tents a few fashion people were mingling around. 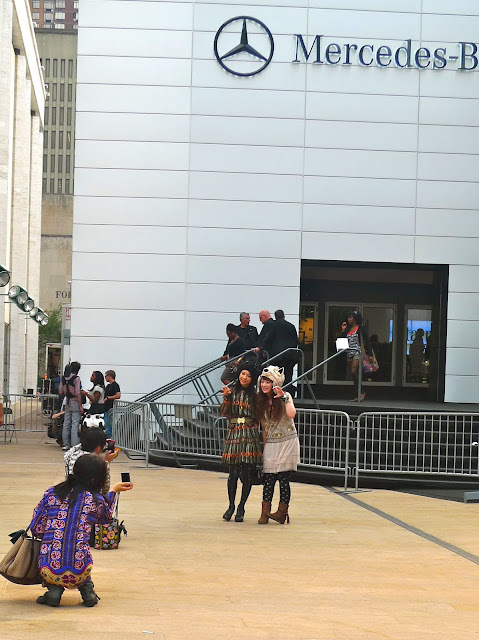 You had the occasional media or blogger photographer and young girls dressed in attention outfits.